Student politics at the University of Toronto can be as exciting as House of Cards. Recently, the University of Toronto Students’ Union (UTSU) found itself in a lawsuit with former Board of Directors members, a standoff between union leadership and the Black Liberation Collective erupted, and Board of Directors meetings faced increased disruption from protesters. Three important UTSU stories to follow in 2017–2018 include the union’s efforts to make internal financial cuts, the prospect of decertification from the Canadian Federation of Students (CFS), and the advocacy that will precede the outcome of the provincial election next spring. The UTSU has an important role to play in making sure your interests are represented in all of these areas, and with major changes to its governance and services on the horizon, it is time for its membership — incoming students included — to forego their position on the sidelines and get involved in the fray. Spearheaded by campaign promises geared toward financial cutbacks proposed by Demand Better, the slate that won five out of seven executive positions in last spring’s election, the UTSU has already begun to implement sweeping reforms to its internal governance. In June, the UTSU took the regressive action of laying off their Health and Dental Plan Coordinator and Clubs and Service Groups Coordinator. Though this decision was allegedly made with the purpose of ensuring financial stability, students who rely on the Health and Dental Plan and campus clubs will no longer have designated point persons to provide them with support. It would serve us well to scrutinize any future moves toward financial austerity in light of this decision’s potential negative repercussions. Another issue on the UTSU’s radar is the prospect of holding a referendum to decide whether the union should defederate from the CFS, an organization comprised of student organizations from across the country. The You Decide campaign, which operated in 2016–2017, petitioned for a referendum, arguing that students should decide whether the UTSU should continue to contribute funds to the controversial federation. At the same time, those opposed to the campaign have noted that the CFS’ vigorous activism for equity and free tuition are important reasons to stay with the federation. 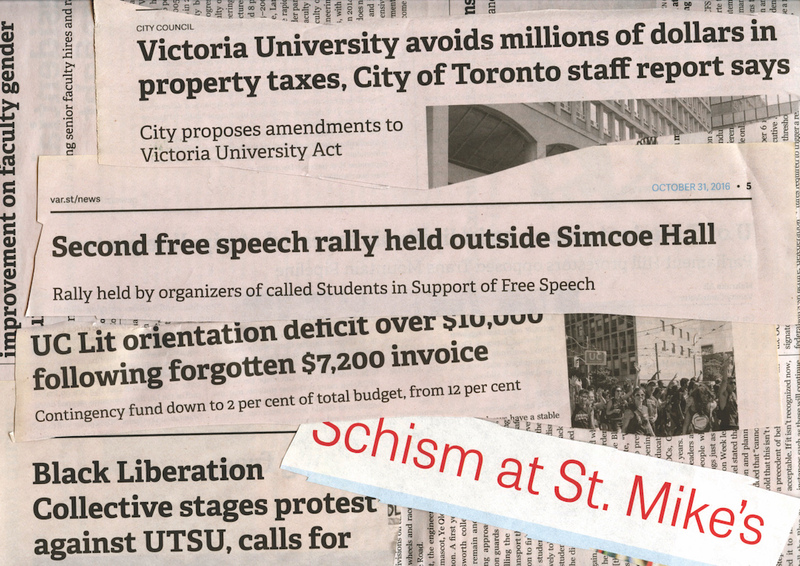 Depending on how the UTSU navigates this situation, students could be faced with an important decision to make this coming fall. Perhaps the most important and least recognized issue the UTSU faces is the role it will play when the provincial election takes place next spring. All three major provincial parties have proposed serious changes to postsecondary funding. With U of T students comprising the largest student body in the country and the campus being located only minutes away from Queen’s Park, both the UTSU Board of Directors and its constituents have a real opportunity to direct the discussion. Regardless of your stance on any of these issues, it is crucial to not sit idly by and watch policy unfold. While the UTSU has and will continue to claim it was given a clear mandate from students to make these changes, less than 12 per cent of the union’s members actually voted in the spring election. Overall, Demand Better presidential candidate Mathias Memmel received the second highest number of votes for the presidency, but he won the election due to redistribution of ranked votes through the single transferrable vote system. It is therefore crucial that students who did not rank Memmel first get involved and ensure their priorities are represented. To his credit, Memmel seems interested in welcoming voices from outside of the UTSU’s elected bodies to participate in major policy discussions, and students should seize these opportunities when they arise. Whether it is through exercising their voting rights, getting involved in campus grassroots organizations, or even protesting UTSU decisions, it is time that all students become active political participants. James Chapman is an incoming third-year student at Innis College studying Political Science and Urban Studies.